Was Judas a traitor or facilitator? An anonymous follower of one of the Gnostic faith groups wrote the Gospel of Judas circa 150 CE. Its existence was mentioned in the writings of proto-orthodox Christian authors where it was condemned as heretical. However, a manus cript, translated from the original Greek into Coptic, was only discovered in recent years. It was found in the Egyptian desert near El Minya. A text titled "James" also known as the "First Apocalypse of James,"
A fragment of a fourth text provisionally called the "Book of Allogenes." The Gospel of Judas is by far the most important component of the Codex. 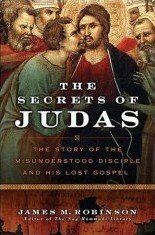 It contains an alternate explanation of the role that Judas played among Jesus' disciples. New Testament scholar, Bart Ehrman, said that the Gospel teaches that Judas is: "...the good guy. He's the only apostle who understands Jesus. In this gospel it turns out that Judas does turn Jesus over to the authorities, but according to this gospel, this is what Jesus wanted." Some of the early Gnostic faith groups taught that Judas was the most enlightened of all of Jesus' followers. This is in stark contrast to the message of the four Gospels that made it into the official canon of the New Testament. They assert that Judas was a traitor, he betrayed Jesus for 30 pieces of silver, and that his mind was possessed and controlled by Satan. In a massive coordinated advertising campaign, news of the Gospel of Judas became widespread among the public in early 2006-April. 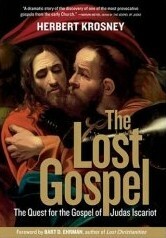 At least three books on the Gospel were officially released on APR-06 or 07. A National Geographic Channel TV special was aired on APR-09 and APR-27. Evangelical Christians, and others who believe in the inspiration and inerrancy of the Bible will probably have little interest in this gospel. They may be aware that there were many dozens of gospels circulating within the early Christian movement of which only four were found to be legitimate, inspired by God and inerrant. These are the canonical gospels: Mark, Matthew, Luke and John. However, they might be faced with comments about this gospel when evangelizing. It might help them to be acquainted with its text. Liberal Christians will probably have a great deal of interest in the gospel. It demonstrates the wide diversity of beliefs held by the various groups within the very diverse early Christian movement. About Judas: his name; was he a traitor? James Robinson, "The Secrets of Judas : The Story of the Misunderstood Disciple and His Lost Gospel," HarperSanFrancisco (2006). Read reviews or order this book safely from Amazon.com online book store. A search of the Amazon.com data base returns links for these three books and others. If you see a generic Amazon ad here, please click on your browser's refresh icon. 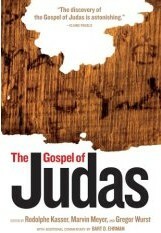 Note: Simon Mawer's book "The Gospel of Judas" is a novel and is not directly related to the actual Gospel of Judas. Copyright Â© 2006 to 2014 by Ontario Consultants on Religious Tolerance.